Jamaroos Musical ABCs is an iPhone app developed byIggy Learning, LLC. 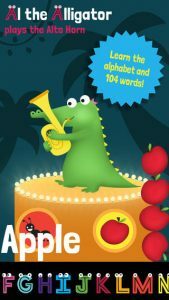 Created by award-winning animator and drawing inspiration from trusted educational curricula, this kid-friendly app teaches kids their ABCs in a fun and engaging way! 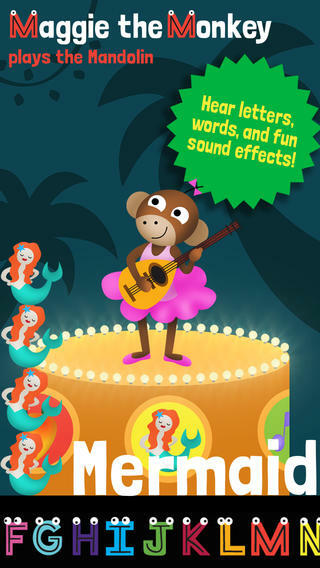 While many kids learn their ABCs by memorizing a song, this app takes a more visual approach. Each letter of the alphabet can be tapped on, and their name of the letter is said out loud. The letters can then be dragged up on to a virtual stage, where an alliterative rhyme about that letter is performed. The interface here is very simple and intuitive. An app like this is an app that you want to be easy enough for a child to use, and Jamaroos Musical ABCs definitely is easy. It’s interesting that you can also manipulate various items on the screen, including words, images, and animated characters. There’s a lot to keep a child’s interest here, and that adds value to this title. Each letter is associated with a different animal, and each animal plays a different musical instrument. A jaguar plays the jingle bells, a dolphin plays the drums, etc. 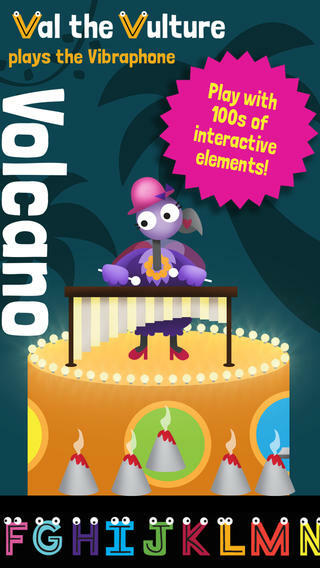 This ABC app will definitely appeal to parents of musical children. One aspect of this app that parents will really appreciate are the privacy settings. Kids can get into a lot of trouble online if they are using an app while unsupervised. Thankfully, Iggy Learning has ensured that Jamaroos will collect no personally identifiable information. The app complies with all current COPPA regulations. The app does contain parents-only accessible links to social media, the App Store, and to a support email address. Overall, Jamaroos Musical ABCs is a really amusing and engaging ABC learning tool. The variety of interactive animations and clever visual aids will help kids to learn the building blocks of language, and the funny rhymes will make kids laugh! For news and special offers, follow Iggy Learning on Facebook or Twitter. 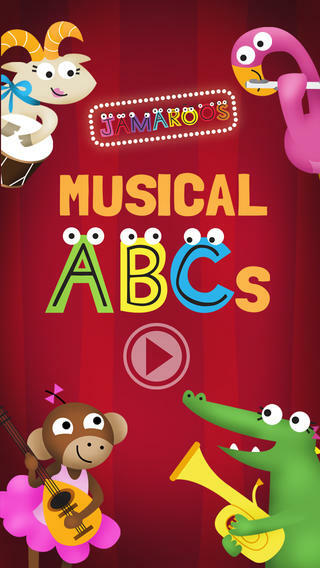 Jamaroos Musical ABCsrequires iOS 5.1 or later. Compatible with iPhone, iPad, and iPod touch. This app is optimized for iPhone 5.